The Scottish Fold, a popular cat breed with folded ears, tends to be quiet, undemanding, and gentle, and usually gets along well with children and other pets. The most notable feature of the Scottish Fold cat is that its ears are partially flattened against its head, though the amount of folding varies from one cat to another. The folded ears give this cat an appearance that is variously described as “owlish,” “teddy bear,” and “pixie.” The ear folding occurs at three to four weeks of age – Scottish Fold kittens are born with straight ears. Other unique characteristics of the Scottish Fold include a thick tail, a round face with a sweet facial expression, a short nose, and very thick fur. The Scottish Fold is a mid-sized cat, and females are usually slightly smaller than their male counterparts. 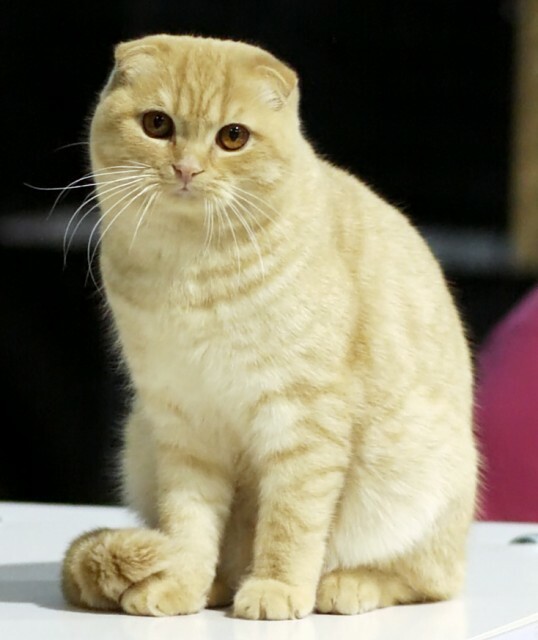 Scottish Folds are available in both longhair and shorthair, and in a variety of colours and patterns. Scottish Folds tend to be gentle, charming cats. Those who are not aware of the cause of its folded ears may mistakenly believe that a Scottish Fold cat is angry, but Folds tend to be laid back and usually get along well with with other pets (both cats and dogs) and children. While there are certainly exceptions, most Scottish Folds are calm and easy going, less likely to panic when placed in unfamiliar surroundings or rooms full of noisy children than other cats. Scottish Folds aren’t as interactive as some breeds. They are less likely to demand attention, so they can appear reserved or unemotional to those who don’t understand them. Scottish Folds are undemanding, peaceful companions that manifest a quiet, dignified intelligence. Because they tend not to be vocal or hyperactive, owners are more likely to enjoy a good night’s sleep. Scottish Folds have tiny voices, and are not inclined to overuse them. The gene that causes folded ears also makes Scottish Fold cats susceptible to polycystic kidney disease (PKD), osteochondritis, and cardiomyopathy. However, with responsible breeding and screening for genetic diseases, Scottish Fold cats tend to be robust and healthy, manifesting the heartiness of their barnyard ancestors. The gene that causes the folded ears is dominant, so if the cat receives the gene from one parent, its ears will be folded. However, if both parents carry the “fold” gene and the kittens receive two copies of it, they will be at risk for genetic defects that can result in lameness and other problems. For this reason, two Scottish fold cats should not be bred together. Scottish Fold cats can only safely be bred with non-Folds, and owners who are not breeding their pets should have them spayed or neutered to reduce the risk of passing the gene along to street cats, where uncontrollable breeding could result in a doubling up of the fold gene.Those who are breeding their Scottish Folds have a responsibility not to let them run loose where they might encounter other cats. The Scottish Fold is relatively low-maintenance when it comes to grooming. 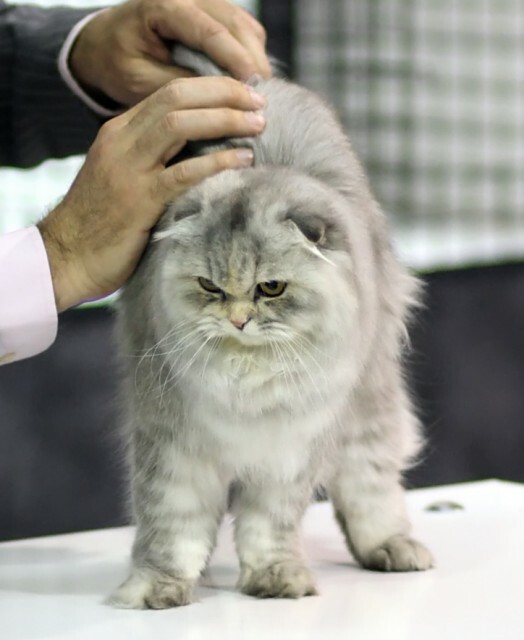 Shorthaired Scottish Folds don’t require much brushing, but longhaired Folds, like any other longhaired cat, need to be brushed gently and then combed with a medium-tooth comb at least twice a week to prevent tangles forming and maintain a healthy coat. Scottish Fold kittens are in high demand, so it can be difficult to obtain one. For those seeking to adopt purebreds, a list of breeders can be found at BreedList.com. Purebred kittens can also be extremely expensive. Those who are interested in adopting a Scottish Fold can save money and provide a loving home to an adult Scottish Fold in need by obtaining a cat from the Scottish Fold Rescue and Adoption Network or another breed rescue organization. Angell, Kitty, Cat Fanciers’ Association. (17 June 2008). 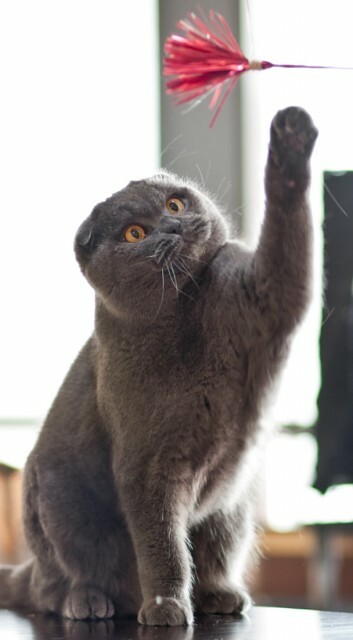 “Breed Profile: Scottish Fold.”CFAinc.com. Delsey-Wood, Dennis. (1997). Guide to Owning a Scottish Fold Cat. Philadelpha: Chelsea House Publishers.